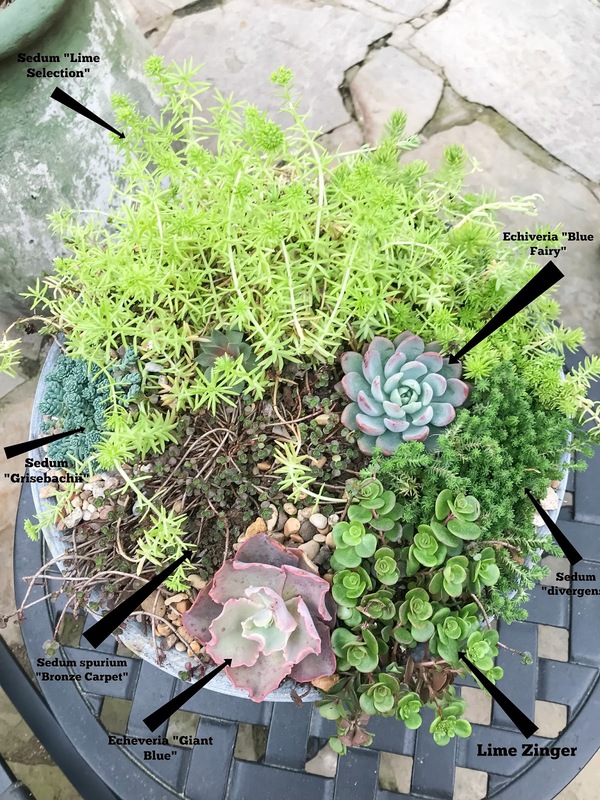 Container gardening with succulents is so easy and the result is beautiful. 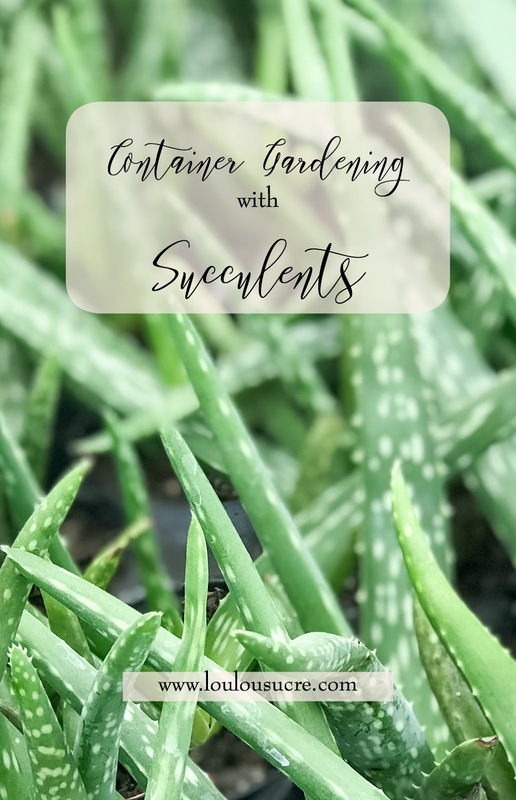 They are easy to grow and thrive in warm, sunny weather. Even I can grow them, and believe me…my thumb is not bright green. 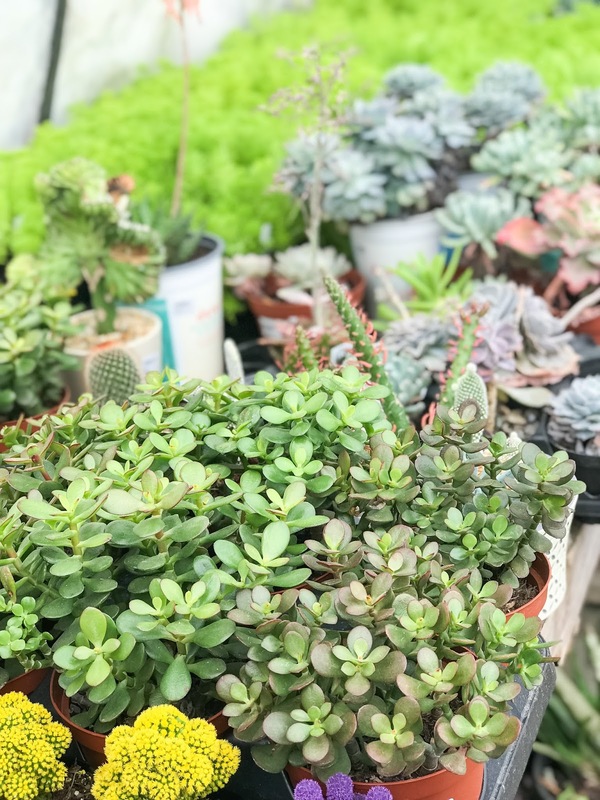 The beauty of succulents is that they can be grown in any kind of container, as long as there is adequate drainage, bright light, and not too much water. 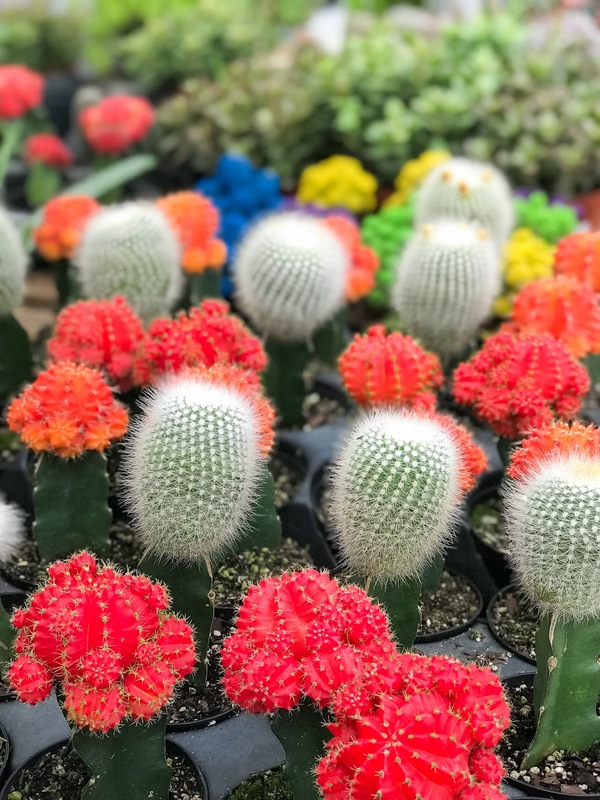 A common misconception about succulents is that people assume that all succulents are cacti. Some are, but not all. 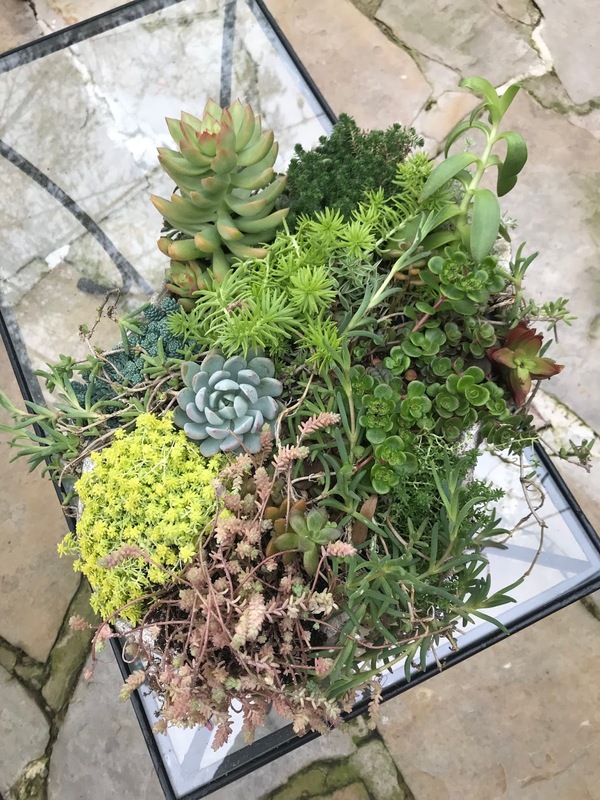 Succulents are plants that thrive in dry environments and store water gathered during wet spells in their tissues to use during drought spells. 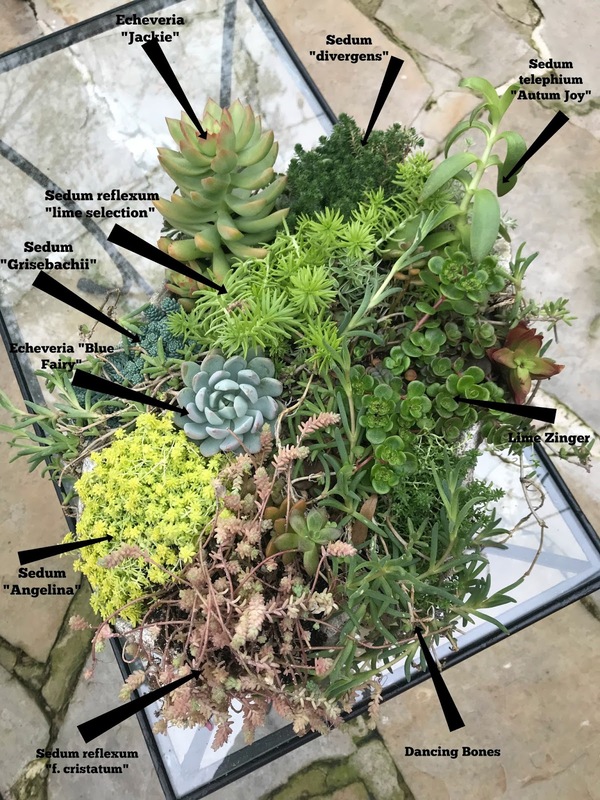 These plants are thick-leaved, their tissues are a spongy foam-like material superb for storing moisture, the entire outer surface of the plant has a thick, waxy coating to minimize moisture loss during respiration (yes, plants breathe) and most succulents have spiny/thorny protrusions to keep bugs from tapping into their precious water supply. 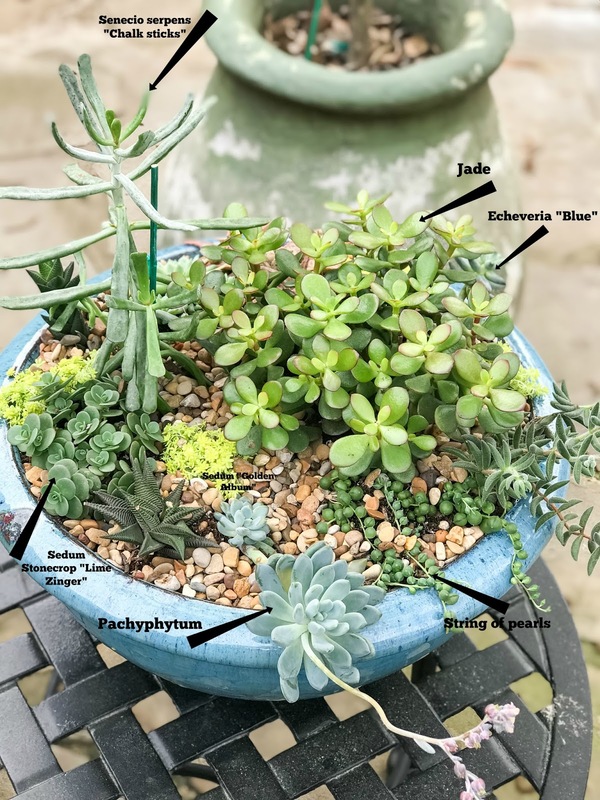 Succulents, like all other plants, survive with the right soil, the right light, and the right amount of water. Succulents are drought tolerant and need to be planted in soil that allows them to drain completely. I usually buy soil made for cactus plants that allow the plants to drain well and not hold excess water. One of the things that you can also do to help with drainage is to add pea gravel to the bottom of the planting area or container. This helps with allowing the soil to drain thoroughly. Succulents also like to be watered a lot, but not frequently. (Do not water them as often as your indoor plants!!) I soak my succulents every 1-2 weeks, making sure that they are good and wet at the roots. Also, use a fertilizer once a month for super healthy plants. Succulents also like bright light. If they are outside, you can put them in part or full sun (southern exposure is the best). Just check with your local garden center to make sure that your variety can tolerate full sun. 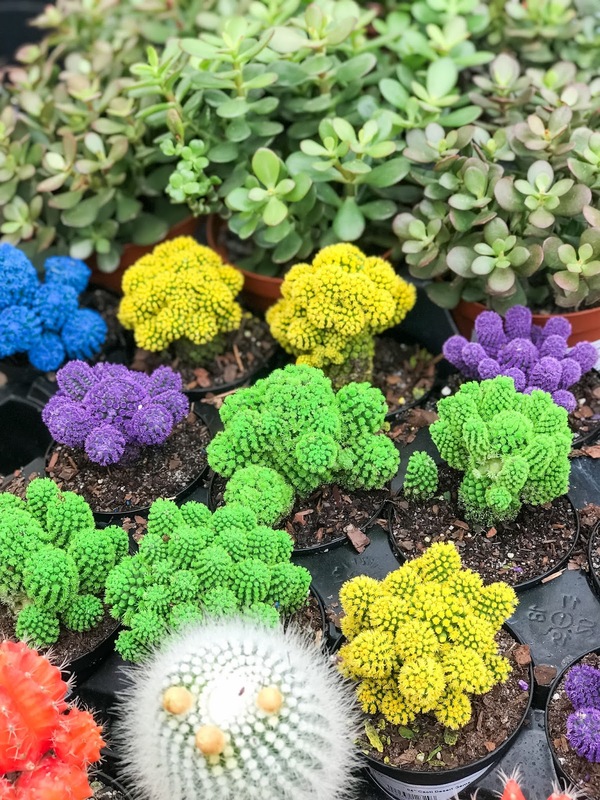 So if you love these little guys, like I do… head on down to your local plant nursery and pick up a few. 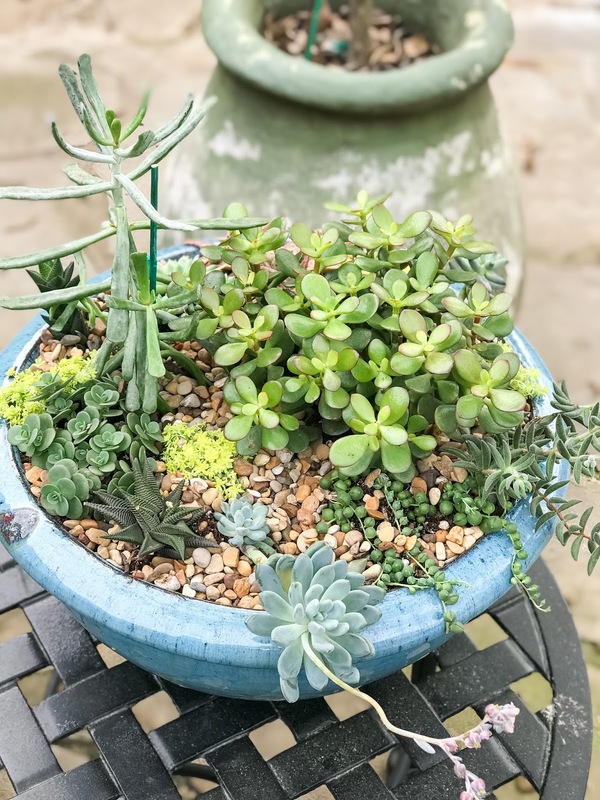 These are a few pots that I have on my patio full of succulents. I’ve tried to give you the names of most of them. I hope this inspires you to do a little patio gardening.